We'll be running some great ticket offers alongside our brochure and in conjunction with our Media Partners, The List and The Scotsman. 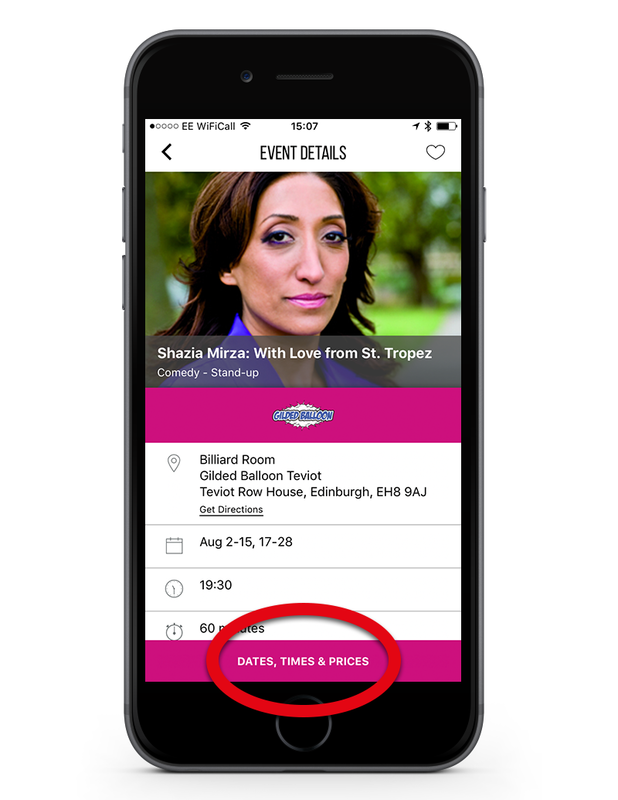 If you've picked up an offer code, just download the Edfest app to claim your tickets. 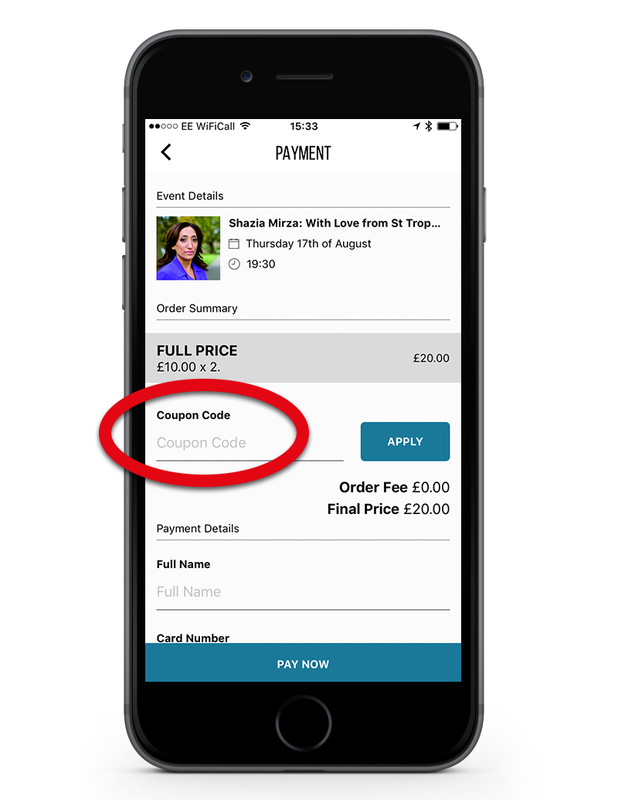 Remember, even without an offer code, you can still use the app to book your tickets throughout the festival with NO BOOKING FEES. Please ensure you have the latest version of the app from the App Store. If you already have an account, simply log in. Otherwise tap 'SIGN UP' and enter your details to create an account. Remember to opt in to our mailing list if you would like to hear about other special offers. Browse events by genre or venue or hit the settings buttons at the bottom of the screen to refine your search. Tap on an event to find out more. When you've found an event you'd like to book for, just tap 'DATES, TIMES & PRICES'. Chose the date and time you would like to attend. Special offer tickets are typically available for Monday to Thursday performances after 8th August. 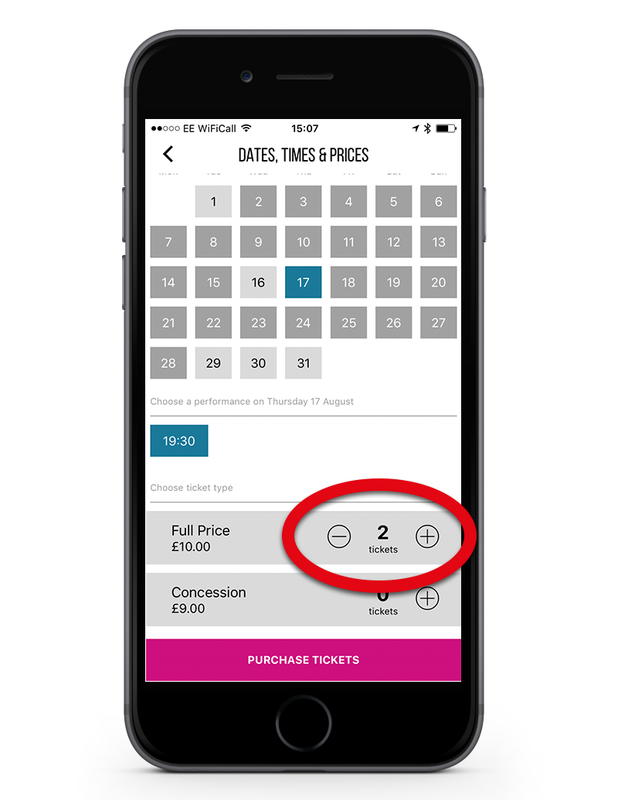 To claim a two-for-one offer, use the plus button to choose two full price tickets and then tap 'PURCHASE TICKETS'. Enter your special code in the 'Coupon Code' space and hit 'APPLY'. 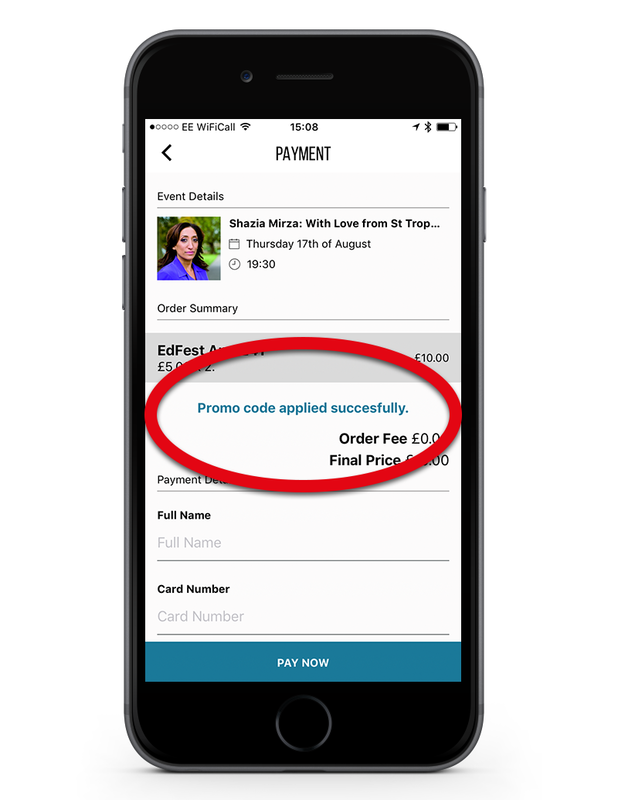 Important: If you do not see the 'Coupon Code' space, please go to the App Store and choose 'Updates' to ensure you are using the latest version of the app. You will be notified if special offer tickets are available for your chosen performance and the final price will be adjusted accordingly. If no tickets are available, please choose another date or event. Enter your credit or debit card details and tap 'PAY NOW' to finish. You can collect your tickets from any of the partner venue box offices or automated ticket machines. Be sure to bring the credit card used to bring with you.